Facebook got some good news Wednesday amid sinking stock prices and calls for Marc Zuckerberg's head by ticked off investors. 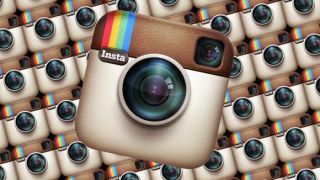 The social media megalith's bid for photo-sharing site Instagram was approved by the Federal Trade Commission, sealing the deal with the conclusion of the agency's standard-procedure investigation into the acquisition. While Facebook is probably excited to get the government's go-ahead, Instagram might be a little glum over its final selling price. The deal, initially valued at $1 billion (£629 million), dropped to a mere $747 million (£470). Facebook will payout $300 million (£188) in cash with the remaining $447 million (£281) coming in the form of stocks based on the company's current trading value of $19.44 (£12.24) a share. Thanks to the FCC's 5-0 approval, the two sites can begin integrating their services. Facebook has to hope Instagram brings it some bucks as the company is facing investor pressure to produce some hard cash (sorry, Farmville bucks). The company rolled out a sponsored results feature Wednesday it announced earlier this year. Now, when users look up a friend, place, page, etc., paid sponsor results are interspersed with the search content. The feature comes at a time when Facebook is exploring other advertising options, like traditional banner ads, as its stock falls to half its initial IPO asking price. Though only a one-month test run, search result ads could become a permanent fixture on the site if they generate enough revenue - and brand awareness - for the sponsors.